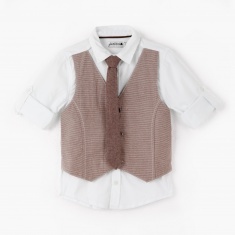 Trendy and dapper, this shirt lends your boy a splendid style. It comes with a mock waistcoat flap and tie that casts a charming look. 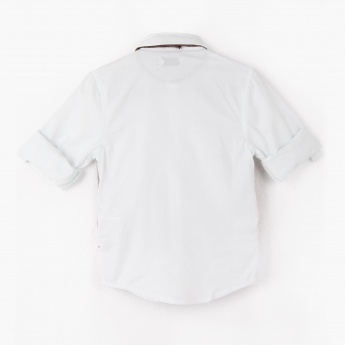 The roll- tab sleeves adds a refined appeal.